We all know what a concealer does for those dark areas around our eyes, or the couple of spots that have come up over night. However, what if you could pair the perfect concealer with anti-aging benefits? 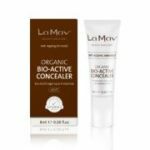 The very smart people at La Mav have done just that in the Organic Bio-active Concealer. This light weight concealer in light and medium shades, is formulated with Vitamin C and Liquorice Root to help brighten skin and even tone and com plexion. 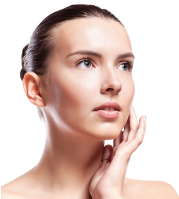 While Rosehip Oil and Vitamin E are powerful antioxidants added to boost skin repair and prevent premature signs of ageing. All of this as well as the light reflecting mineral pigments that conceal skin imperfections, dark circles, pigmentation and skin concerns. I know what your thinking. Come and try it for yourself and see what our staff at Depskin are raving about.